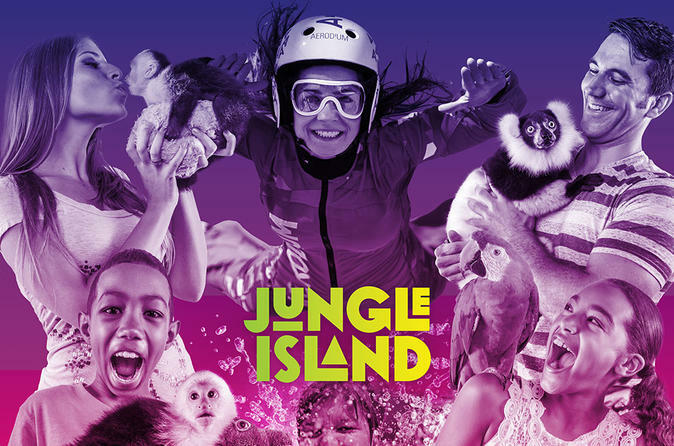 Take a guided tour and meet some of the most charismatic creatures at Jungle Island on this VIP tour. You will go behind-the-scenes at the animal care clinic, have fun with an Australian red kangaroo, and meet giant Aldabra tortoises and exotic reptiles. This tour includes a unique interaction with endangered Lemurs so be prepared for an unforgettable encounter with these gentle and lovable primates. During this VIP tour, you will be guided by one of the animal experts at Jungle Island who will explain to you everything there is to know about the animals you are interacting with as well as fun anecdotes of the park and its residents. Get ready to get up close and personal with some fantastic creatures such as lemurs, sloths, parrots, tigers, and more. This VIP tour includes park admission, a family picture, and complementary parking. This allows you to stay all day and enjoy a jungle filled experience with your family and friends. There are also several attractions you can add on at the park such as an Escape Room or the Super Flight experience.